BlackRadioIsBack.com Video: The Bots | BlackRadioIsBack.com - Official Blog of the Syndicated FuseBox Radio Broadcast! What's up this fourth day of Black History Month in the U.S. from the BlackRadioIsBack.com/FuseBox Radio Broadcast crew! I just wanted to share a bit of music off the radar (hopefully soon to a TV, radio and other media outlet near you) with the young, talented fellas of the AfroPunk group The Bots. The Bots represent California and consists of members Mikaiah Lei (16) and Anaiah Lei (13). These young brothers of Afro-Caribbean descent and Chinese descent dropped their self-titled album independently a few months ago via the web through Napster, iTunes, Rhapsody & eMusic. In between going to school (Mikaiah with High School and Anaiah with Middle School), the young mulit-instrumentalists spend time recording, writing original music for future performances and releases and touring all over the U.S., including this year's AfroPunk Music Festival with headliner Saul Williams. 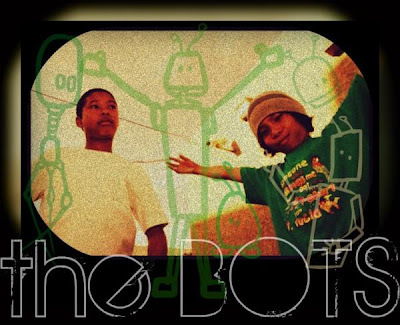 The Bots sound has a lot of Punk, Ska, Rock and Reggae Music influences and a lot of energy for heads to jam to. With groups as diverse as The Yeah Yeah Yeahs, Bad Brains and Bob Marley being a few of their influences, I think these young men can definitely make it happen on the mainstream stage if given a proper chance in the future. Check out some of their recent videos below as well as copping a download of their single "Stop" and let us know what you think of The Bots and their dope Black Rock sounds...enjoy!